Get away to Montreal for a few days of romantic dinners, historic attractions, shopping and shows. Visit the majestic Notre-Dame Basilica in Old Montreal, sample chocolate at Atwater Market and check out modern art galleries and boutique shops in Griffintown. Explore the Museum of Fine Arts, Botanical Gardens & Zoo and the Underground City, one of the largest underground areas in the world. 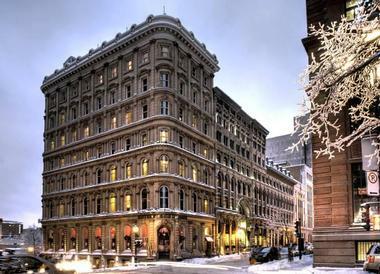 If you want to be right next to the fashionable Rue St. Paul and Notre-Dame Basilica in Montreal, check into the romantic Le Saint-Sulpice Hotel which offers a selection of stylish suites. French windows open to reveal scenic city or inner garden courtyard views. Ask for a suite with a private terrace and a fireplace on your romantic getaway. Resting on the banks of the Saint Lawrence River, Auberge du Vieux-Port is an iconic symbol of Old Montréal’s rich history. 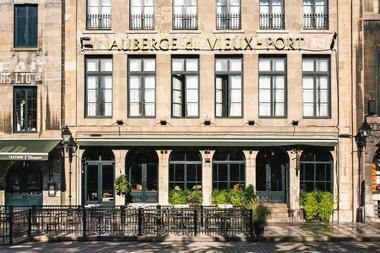 Boasting 19th-century architecture and classic interior décor, Auberge du Vieux-Port features 45 guest rooms, 24 of which have spectacular views of the Saint Lawrence River and the Old Port, while the other half look over the cobblestone stretch of Rue Saint-Paul. A French-style Tavern serves delicious bistro fare, and the stylish rooftop bar and hideaway, Terrasse sur l’Auberge, is the perfect spot for nightcaps and signature cocktails against a backdrop of stunning skyline views on summer nights. The hotel is ideally located for exploring the city’s best attractions and is within walking distance of several top restaurants, galleries, and boutiques. Chez Swann is a playful boutique hotel in downtown Montreal, featuring a huge chalk mural in the lobby, local art and futuristic lamps in the hallways. 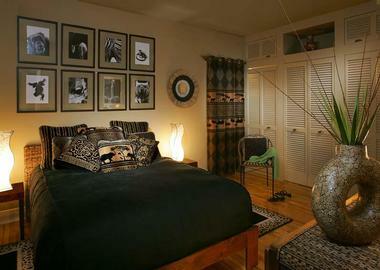 Each of the 23 guest rooms have unique decor and furnishings. The glass-wall bathroom showers with two water columns are perfect for couples. Le Pois Penche is a French Brasserie serving French "comfort food" accompanied by a diverse selection of wine. The hotel offers popcorn nights, a workout room with spinning bikes and a boardroom which can host a cocktail reception if you are planning a special celebration. Room rates start at CAD $129 per night. 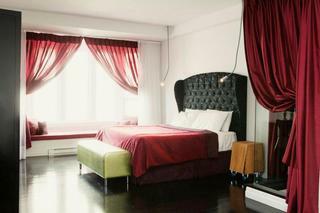 Situated in a five-story historic building in Old Montreal, Canada, Hotel Gault offers 30 loft-style suites furnished with custom oak cabinetry, blue ray players and LED televisions. Several suites have a 3D television for movie fans. Guests receive free high-speed Wi-Fi, a 24-hour concierge, 24-hour gym, valet parking and iPads. The Apartments at the Gault are the most spacious, measuring from 750 to 1,020 square feet in size. Each Apartment has a large bathtub, 55-inch LED HD 3D flat-screen televistion, a king-size bed, a queen-size sofa bed, a work space, a living room and a kitchen. Couples can dine in the Gault Restaurant, the Gault Lounge, by the fireplace, in the library or in the comfort of their suite. 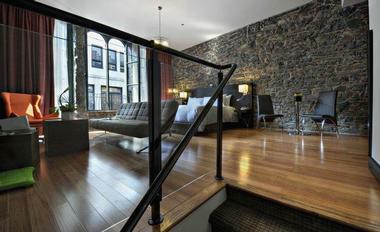 Suites start at CAD $159 per night. Nestled in the heart of Montreal’s hippest neighborhood overlooking Park Mount Royal, Casa Bianca is an elegant bed and breakfast with beautifully appointed accommodations, lovely gardens, a sun terrace and a tennis court. Housed in a 1912 French Renaissance revival chateau, Casa Bianca features five quiet guest rooms and suites with smooth parquet floors, private bathrooms with ball-and-claw bathtubs and stunning mountain views. A well-appointed suite has a large fireplace, all rooms have air-conditioning, and a shared kitchen is available for guests to make snacks and drinks throughout the day. Continental breakfast is served in the sunny breakfast room every morning, and an in-house yoga instructor offers private or group sessions. Check into the 12th floor spa at Hotel Le Crystal for a day of pampering and rejuvenation with spectacular views of downtown Montreal. Swim in the indoor salt water pool, detox in the sauna and enjoy great city views from the roof-top jacuzzi. Indulge in a massage, body wrap or a facial at Amerispa. 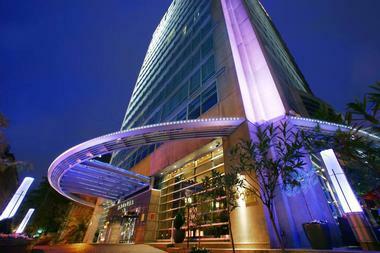 You can stay in one of the hotel's 131 elegant accommodations with floor-to-ceiling windows and modern decor. 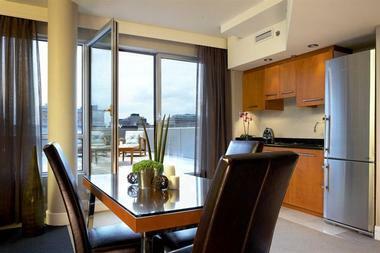 Ask an Executive suite with a view of downtown, a kitchenette and a separate living area. 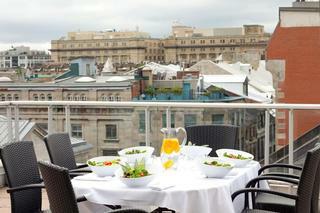 The Penthouse suites on the 11th floor are the most luxurious, featuring a spacious terrace with views of Mount Royal. 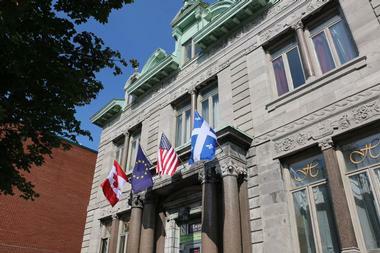 The property is located in downtown Montreal, near boutique shops, restaurants and cafes. The hotel's Parisian-inspired brasserie, La Coupole, serves seasonally changing dishes based on fresh local ingredients. Before dinner, have drinks at the Wine Bar while listening to piano tunes. The bar serves international wines, beers, a selection of scotch and a selection of appetizers. Suites start at CAD $209 per night. Located directly across from the Parc La Fontaine in the center of Montréal's vibrant Plateau Mont-Royal neighborhood, Auberge de La Fontaine is a luxurious hotel ideally placed for exploring Montréal. Based in a cozy stone house just steps from an array of restaurants, bars, and shops, the inviting hotel offers comfortable accommodations with modern amenities, homemade cuisine, and friendly, welcoming service. The hotel features 21 individually decorated guest rooms with contemporary décor and deluxe amenities, including spacious en-suite bathrooms with whirlpool baths, seating and work areas, air-conditioning and lovely views of Parc La Fontaine. A healthy buffet breakfast is served in Auberge's sun-bathed dining room, and a kitchen is available for making snacks throughout the day. Other amenities include lounges, a meeting room, and a sun terrace. 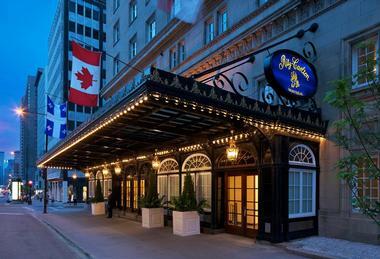 Nestled on Argyle Avenue in the heart of Downtown Montréal, Auberge Les Bons Matins is a distinguished European-style hotel that exudes country-like character and romantic charm. Three century-old homes feature a range of beautifully appointed guest rooms and suites with spacious and intimate living spaces with wood-burning fireplaces, comfortable décor, en-suite bathrooms with whirlpool tubs, and modern amenities. Auberge Les Bons Matins is strategically located in one of the most popular areas of Montréal and within walking distance of bustling Crescent Street, home to gourmet restaurants, buzzing nightclubs and lively bars, the Bell Centre which is the home of the Montréal Canadiens, and the famous shopping hub of Ste. Catherine Street. Facing the beautiful urban Park Lafontaine in the heart of Montréal, Accueil Chez Francois Bed & Breakfast is an inviting, comfortable hotel nestled between Old Montréal and Olympic Park. The cozy bed-and-breakfast features five guest rooms with modern amenities, including cable television, air-conditioning, and lovely park views, and a hearty breakfast is served each morning with the delicious homemade fare. Free parking is available for guests, and an excellent selection of restaurants offering casual and fine dining is within walking distance of the hotel. 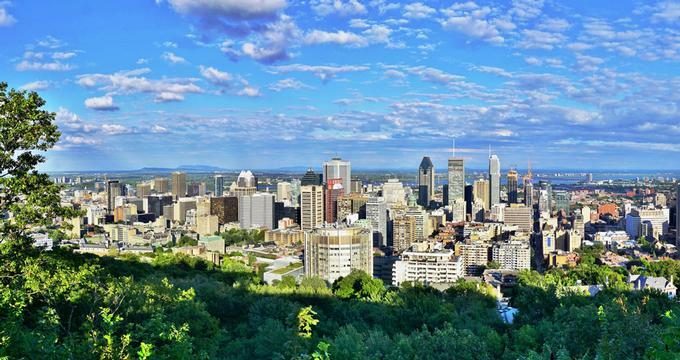 Situated just minutes away from Downtown Montréal and the vibrant Latin Quarter, Accueil Chez Francois Bed & Breakfast is ideally placed for exploring the city and all its exciting attractions. Le Gîte Dézéry Bed & Breakfast is a comfortable guesthouse-style hotel located just a few miles from the Parc Olympique de Montréal and the famous Biodome. Five individually designed and decorated guest rooms feature wooden floors, contemporary décor, private bathrooms, cable television, and air-conditioning. Gourmet breakfast is included in the room rate and served every morning in the cozy dining room with a large fireplace. 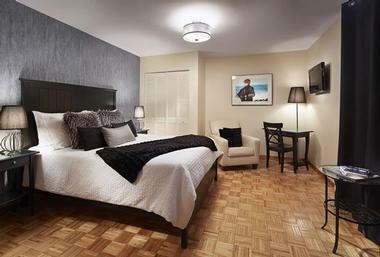 Located in the Rosemont area of Montréal, Le Gîte Dézéry Bed & Breakfast is ideally placed for exploring the area, which is home to several famous attractions, including the Montréal Botanical Gardens, a Chinese garden, and Mont-Royal Avenue. Auberge Le Pomerol is a quaint European-style boutique hotel located directly across the street from the Berri-UQAM metro station and within walking distance of Old Montréal, as well as the beautiful Old Port. The lovely little inn features comfortable accommodations which offer spacious bedrooms, private bathrooms with whirlpool tubs, mini fridges, coffee makers and complimentary wireless internet. A complimentary continental breakfast is served each morning, guests have access to the kitchen for snacks throughout the day, and there is a family-friendly Italian restaurant next door to the hotel. 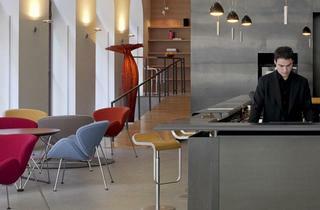 A communal lounge has a cozy fireplace and two meeting rooms are catered for functions. 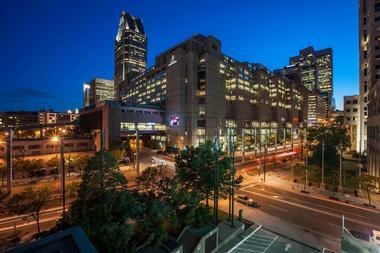 The hotel is a short walk from the Université du Québec à Montréal and the Grande Bibliothêque du Québec. Services and amenities a homely lounge area, parking lot, elevator, and concierge service. Set in a 1920s Victorian house in the quiet suburb of Verdun, just eight kilometers from downtown Montréal, La Petite Bourgeoise is a charming bed and breakfast with comfortable accommodations, modern amenities, and homemade cuisine. The guesthouse features three elegantly furnished bedrooms with contemporary touches, shared bathrooms, and convenient amenities, including sofa beds, mini fridges, and wireless internet access. A complimentary full breakfast is served each morning in the warm, wood-paneled dining room and a guest lounge offers an inviting spot to relax. 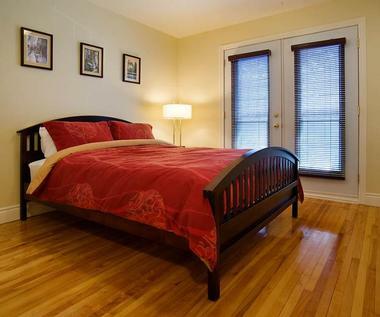 Located just a block away from the Saint Lawrence River, this refined bed-and-breakfast is a short walk from the Verdun metro station and the Auditorium De Verdun. Built in 1895 as a post office and regarded today as one of Canada’s many beautiful heritage buildings the Hotel, Auberge Manoir Ville Marie, is a cozy boutique hotel situated a short drive away from the Montréal’s city center. The circa-1890s Beaux-Art style building offers comfortable bed and breakfast-style accommodation with modern amenities, including mini fridges, wireless internet access and upgraded rooms have Jacuzzi tubsA fully equipped common kitchen area is available for guests to use and an outdoor patio with spectacular views of the St. Lawrence River is ideal for relaxing. 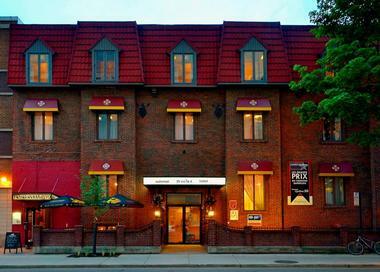 Auberge Manoir Ville Marie is within close proximity to the historic Old Montréal and other popular attractions such as Olympic Park, the Botanical Gardens, and La Ronde Amusement Park. Set in a century-year-old stone house in downtown Montréal’s vibrant East Village, Le Cartier B&B is a down-to-earth bed-and-breakfast that has been beautifully restored and redecorated to create a comfortable home-away-from-home retreat. Located within walking distance of the main shopping district of Rue Sainte-Catherine and the famous Parc La Fontaine, the charming bed-and-breakfast offers beautifully appointed guest rooms with wooden floors, eclectic artwork, modern amenities, and shared kitchenettes and bathrooms. Fully furnished studios and an apartment are available for long-term rental, and a lovely back garden is a perfect place to unwind. A delicious continental breakfast buffet is served each morning, and the hotel is surrounded by an array of restaurants and cafés serving all types of cuisine. A short walk gets you to the city’s many attractions, including Old Montréal, the Latin Quarter, and Mount Royal. 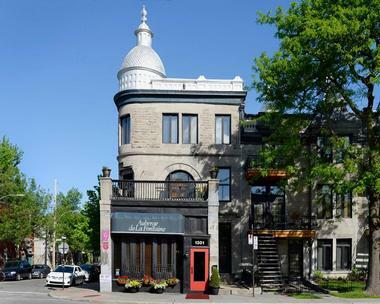 Set in a 1927 home on a beautiful and quiet street a few minutes from downtown and Old Montréal, Le Terra Nostra is an upscale bed and breakfast offering contemporary accommodations and a warm and welcoming ambiance. Just a short stroll away from the from the banks of Saint Lawrence River, Le Terra Nostra features four individually designed and decorated guest rooms with comfortable beds, plush linens, underfloor heating, en-suite bathrooms with showers and bathtubs, and complimentary wireless internet. Complimentary breakfast is served in the dining room every morning, and an inviting living room and den boast a bohemian ambiance. A lovely feng shui garden offers a tranquil spot to relax, and guests can borrow bicycles to explore the city. Le Terra Nostra is close to a variety of activities and attractions, including tennis courts, swimming pools, and two spa and wellness centers. Combining century-old charm with a stylish modern slant, Le Petit Hôtel is a historic hotel set on Montréal’s first public square that evokes the lost bohemia of nineteenth-century Europe. Petite in size, but grand in luxury, this modern boutique hotel is located in the heart of the historic district and is surrounded by shops, galleries, restaurants and bars. 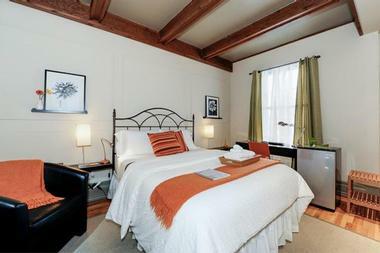 The handsome hotel features 24 guest rooms with exposed brick walls, hardwood floors and contemporary stonework with modern décor and conveniences, including iPod docking stations, flat-screen televisions, and complimentary wireless internet. Le Petit Hôtel’s front lobby is home to a cozy café which serves freshly brewed coffee, delicious baked goods, and pastries all day. Bikes are available for rent to explore the city, and the historic district of Old Montréal is close by with an excellent collection of beautiful architecture, cultural venues and superb wining and dining hotspots. Blending urban sophistication with luxurious comfort in the heart of Old Montréal, Le Place d'Armes Hotel & Suites offers comfortable guestrooms, relaxing spa services and gourmet dining options. Housed in three beautiful 19th-century neoclassical buildings opposite the breathtaking Notre-Dame Basilica and just steps from the Old Port, Le Place d'Armes Hotel & Suites is set in an unrivaled location within walking distance to a variety of attractions. Embodying the city’s finest architectural traditions, the hotel features elegant guest rooms with charming décor, deluxe amenities such as down duvets, plush bathrobes, and well-stocked minibars. Upgraded suites enjoy fireplaces, en-suite bathrooms with soaking/whirlpool tubs, and private balconies and guests can relax with indulgent treatments in the full-service Rainspa or workout in the state-of-the-art fitness center. Sip on summer cocktails and enjoy a light meal on the seasonal rooftop Terrasse 701 or savor refined Japanese cuisine and a selection of Japanese spirits at Kyo Bar Japonais. Hotel Le St-James is a luxury boutique hotel with 60 guest rooms and suites featuring unique artwork, fine goose down comforters and Frette linens. 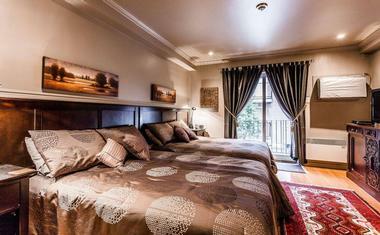 The hotel has a luxurious spa situated in the former Merchants' Bank vault, which dates back to 1870. Inside the spa, you will see a stone wall which was part of the fortification of the City of Montreal. Couples can receive side-by-side massages, hot stone therapy and a selection of body treatments. XO Le Restaurant serves a seasonally changing menu inside the formal Banker's Hall, featuring a dining section, lounge and two beautiful mezzanines. 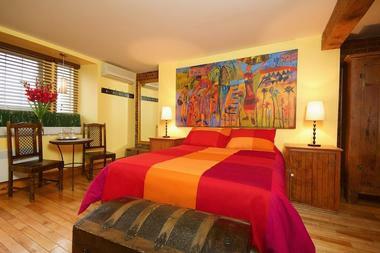 Book one of the private alcoves on your romantic vacation in Montreal. Rooms start at CAD $290 per night (866-841-3111). Hôtel Nelligan combines polished, urban living with luxurious amenities and friendly service to offer guests a perfect inner-city getaway. 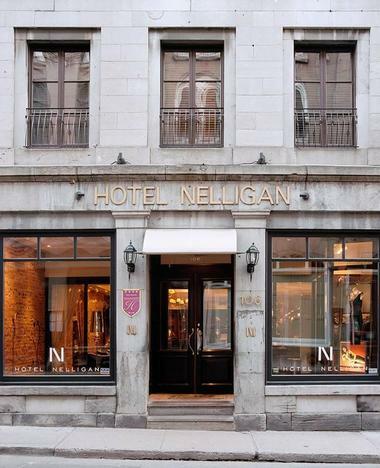 Overlooking St. Paul Street in the heart of the historic Old City district, Hôtel Nelligan is housed in four adjoining buildings which date back to the 1850s and features 44 guest rooms, 59 deluxe suites, and two exclusive apartments. Modern suites and penthouses boast century-old stone walls, contemporary décor, and high-end amenities while first-class concierge services take care of every detail. Dine in style at Verses Restaurant serves French-inspired, market-fresh cuisine created by Executive Chef Sylvain Levaillant while Méchant Boeuf is a super spot for signature cocktails and live music. Nelligan’s rooftop terrace is a favorite with the locals, offering spectacular views of the majestic Saint Lawrence River and Old Port and beautiful vistas of the city’s Old World architecture. 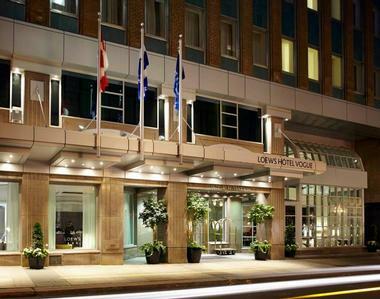 Loews Hôtel Vogue is located in the midst of downtown Montréal within walking distance from Ste-Catherine Street and the bustling bars and restaurants of Crescent Street. This stylish, four-star hotel features contemporary guest rooms and suites, private en-suite bathrooms with whirlpool tubs, living areas with pull-out sofas and deluxe amenities. Some rooms offer kitchen facilities and guests can indulge in personalized in-room massage treatments. A classic Parisian-style bistro with a stained-glass ceiling and sidewalk tables serves French-inspired gourmet cuisine, and a relaxed lounge and bar offer a casual environment in which to kick back with cocktails and drinks. The hotel also features a fully equipped spa and fitness room, spacious business center, and rooftop terrace with breathtaking cityscape views. 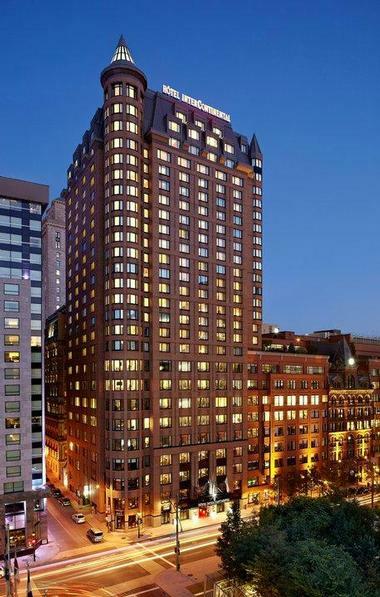 Ideally located at the confluence of Old-Montréal and the city’s downtown district, the Intercontinental Montréal is connected to the Montréal Convention Centre and perfectly located for both business and leisure travelers wanting to make the most of the city. Just minutes away from historic Old Montréal, this contemporary hotel features refined guest rooms with spacious bedrooms, private en-suite bathrooms, and modern conveniences including mini fridges and coffee makers and wirelessinternet. Club Rooms have access to an Executive Lounge with complimentary breakfast and beverages throughout the day while luxurious suites have separate living spaces. A French-style brasserie and absinthe bar serve a full menu of inspired cuisine, extensive wine collection, and signature cocktails while other first-class amenities include an indoor saltwater lap pool, a state-of-the-art fitness center with sauna and beauty salon, a business center and several meeting rooms. The Intercontinental Montréal is a short walk away from the bustling St. Catherine Street, Notre-Dame Basilica and the Old Port. Established in 1912 and fondly known as “the Grande Dame of Sherbrooke Street,” the Ritz-Carlton Montréal has been setting new standards of luxury for more than 100 years. Blending historical splendor with contemporary design in the heart of downtown Montréal, this beautiful boutique hotel offers luxurious accommodations, fine dining, elegant meeting and event spaces, and a stunning rooftop terrace with an indoor saltwater pool and breathtaking skyline views. Maison Boulud serves a creative menu of classic French cuisine with modern touches in various settings, including a year-round greenhouse and secluded terrace. An elegant lounge serves traditional afternoon tea, and a champagne bar offers an extensive list of wines and champagnes from around the world. The Ritz-Carlton Montréal is a few miles from the Basilique Notre-Dame de Montréal and the Vieux Port de Montréal. Housed in a historic building designed by architect Ernest Cormier, Le Square Phillips Hôtel & Suites is an upmarket hotel in the city’s downtown district. 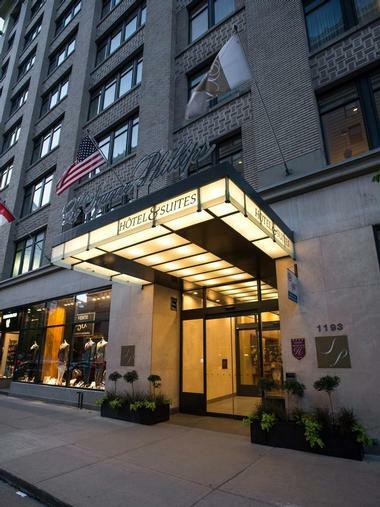 Located within walking distance from the Musee d'art Contemporain de Montréal and the array of boutique stores and shops at Eaton Centre, the hotel features modern studios and suites with fully equipped kitchenettes, spacious sitting areas with pull-out sofas and modern amenities. Le Square Phillips Hôtel is home to a beautiful rooftop terrace and offers an indoor pool, state-of-the-art fitness room, and an expansive sun deck. Complimentary breakfast is served each morning in the lounge, or can be enjoyed in the privacy of the guest chambers. Art-lovers and business travelers will delight in the convenient location of the Sofitel Montréal Golden Mile, which is situated next to the renowned McGill University at the foot of the lush Mount Royal Park. Blending elegant charm with minimalist design and stylish sophistication, this luxury features Victorian touches from the estate of William Cornelius Van Horne, a North American railroad pioneer. The Sofitel Montréal Golden Mile features 241 contemporary guest rooms and suites with floor-to-ceiling windows, spacious lounge areas and modern amenities, including wireless internet access. An intimate French restaurant serves classic cuisine and wine in a casual setting, while a chic cocktail bar is ideal for pre-dinner drinks. The hotel also offers elegant banquet facilities and state-of-the-art meeting rooms, and a fully-equipped fitness center with sauna. The Sofitel Montréal is a few minutes’ walk away from the some of the area's top attraction, including luxury shopping centers, art galleries, museums, and a vibrant nightlife. Hotel Bonaventure Montréal is a modern urban oasis in the heart of downtown Montréal. Located just steps away from many of the city’s major attractions, the hotel is home to comfortable accommodations, a rooftop terrace with an outdoor heated swimming pool, landscaped gardens and premier conference facilities. Standard guest rooms are spacious and bright with flat screen televisions, work desks, and complimentary wireless internet, while Executive Rooms offer access to an Executive Lounge, which offers free breakfast and evening appetizers to guests. A French bistro and bar serve creative international cuisine with a European touch, and a convenience store sells snacks, drinks, toiletries and other essentials. Hotel Bonaventure Montréal is conveniently located just six minutes from the Bell Centre and offers a paid shuttle service.